ARIZONA (-11.5) vs. NEW MEXICO: Last time Arizona played in the New Mexico Bowl they came back from a 21-0 deficit in one of the highest scoring, most entertaining games of the 2012 postseason. I don’t think they’re going to need that kind of last minute effort to knock off the Lobos. The line’s high enough to scare me, but in Rich Rod We Trust [vomits forever]. The Pick: Arizona. 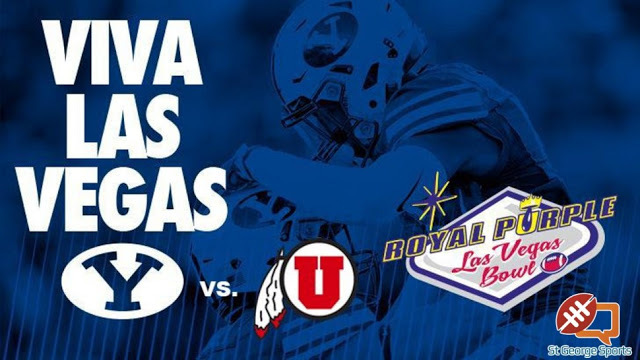 BYU (+2.5) vs. UTAH: Utah entered this season with much higher hopes than back-to-back Las Vegas Bowl victories, but they can secure their first 10-win season since joining the Pac-12 with a win over the injury riddled Cougars. The Utes have dealt with their own share of injuries and have faded down the stretch after starting 8-1 and reaching the #3 spot in the AP Poll, but I like them enough to take them covering a field goal in their home away from home. The Pick: Utah. APPALACHIAN STATE (-9.5) vs. OHIO: The Mountaineers are headed to Alabama in their first bowl eligible FBS season, while the Bobcats are seeking their first postseason win since 2012. The Mountaineers aren’t the FCS juggernaut we all knew a decade ago, but they were still extremely impressive this year, with their only losses coming to Clemson and conference champion Arkansas State. I like them outright, but that spread’s a little too ridiculous when #MACtion is in play. The Pick: Ohio. ARKANSAS STATE (-1) vs. LOUISIANA TECH: No team from outside Louisiana has won the New Orleans Bowl since we launched Double Coverage five seasons ago. No sense messing with tradition…I’ll take the point. The Pick: LA Tech.